You will need 1 bottle sparkling apple cider, 3 cups white grape juice, 2 tablespoons fresh lemon juice, 1 cup canned or fresh pineapple chunks, 1 orange, sliced thin, 1 apple, 2 drops vanilla extract, ice, and extra fruit for garnish. In a large punch bowl or pitcher, combine juice, vanilla extract and cut fruit. Let chill for about 2 hours and add in sparkling cider. 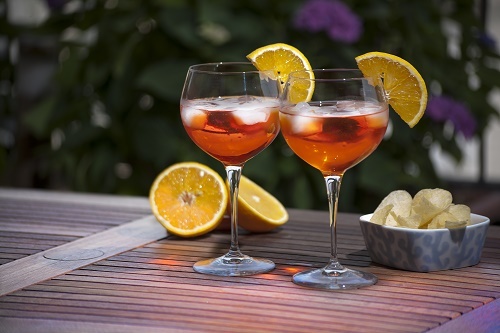 Serve in champagne flutes or wine glasses with ice and fruit for garnish.